The luxury Grand Hôtel de Bordeaux & Spa has partnered with celebrity chef Gordon Ramsay. The restaurateur and respected chef will head up the property’s Le Pressoir d’Argent restaurant. Prior to closing, Le Pressoir d’Argent was a popular, Michelin-starred restaurant that was run by chef Pascal Nibaudeau. The restaurant was famous for using a lobster press that was one of only five anywhere in the world. Chef Gordon Ramsay also overseas the Waldorf Astoria Trianon Palace in Versailles, which has been awarded two Michelin stars. Born in Scotland but raised in Stratford-upon-Avon, England – Gordon Ramsay has trained with many of the world’s top chefs. Several include: both Marco Pierre White and Albert Roux in London, plus Joël Robuchon and Guy Savoy in France. Accolades are not foreign to Gordon Ramsay. 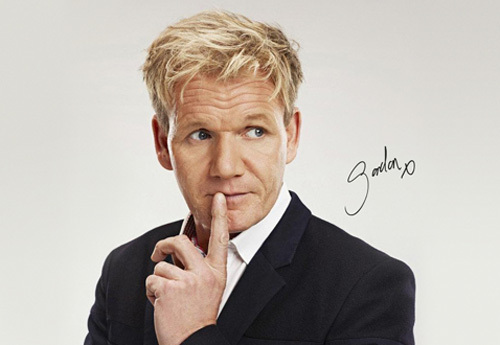 In London, Restaurant Gordon Ramsay is the city’s longest-running restaurant to received the coveted three Michelin stars. Ramsay is just one of only four chefs to hold three Michelin stars in the UK. Chef Ramsay plans to develop seasonal dishes to be served at Le Pressoir d’Argent restaurant, utilizing the best, local ingredients. He is known for his delicious dishes that use spices and BBQ-style smoky flavors. We can’t wait to see what gastronomic creations he comes up with. It should be a fine dining experience like no other. The incredible Grand Hôtel de Bordeaux & Spa is located in central Bordeaux, in the south-west area of France. For those who desire pampering and a truly relaxing experience, be sure to try Les Bains de Léa spa. You can choose from various spa treatments using leading, French beauty brand NUXE. Interested in a luxury travel package to France? Contact The Life of Luxury and we can help book all your travel reservations. Consider staying at the elegant Grand Hôtel de Bordeaux & Spa. Dine at Le Pressoir d’Argent restaurant and you may actually see renowned chef Gordon Ramsay in person! Follow this luxury blog for interesting luxury travel news.